World no. 7 and former US Open champion Marin Cilic and defending champion Gilles Simon will be playing in the 2ndedition of Tata Open Maharashtra to be played at the Mhalunge Balewadi Stadium. Tennis fans can herald 2019 watching five top-50 players in world No. 6 Kevin Anderson (South Africa), world No. 7 Cilic (Croatia), world No. 25 Hyeon Chung (Korea), world No. 30 Simon (France) and world No. 45 Malek Jaziri (Tunisia) among a slew of other international stars at the event. As defending champion, Simon will have a star-studded lineup to challenge his supremacy that will include Anderson, Cilic and Chung. Though in the last edition, the 33-year old Frenchman got the better of Cilic (semifinal) and Anderson (final) en route his title. It would have been a double whammy for Simon had he won the doubles final along with his first time partner and countryman Pierre-Hugues Herbert. 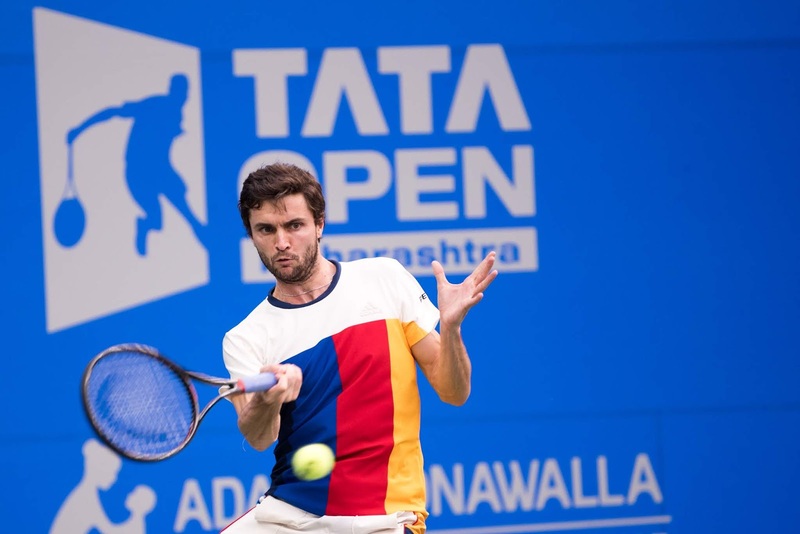 “The return of Cilic, Simon, Anderson, Paire among many other players prove that the players have loved what they have seen and it swells our chest with pride to welcome back all of them including first-timers to Pune,” said Prashant Sutar, Tournament Director. 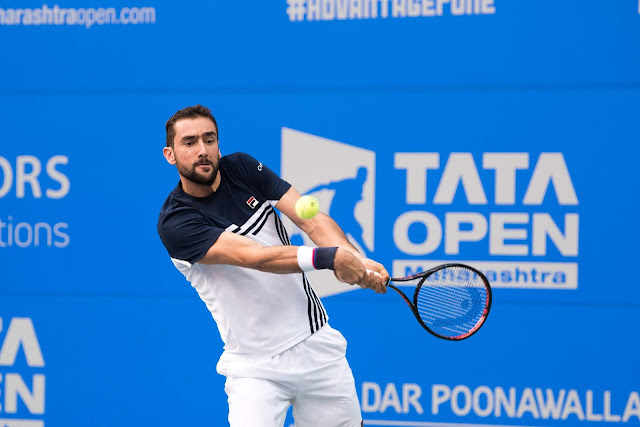 Cilic on the other hand comes to the event at the back of yet another impressive season that included wins over Novak Djokovic and Rafael Nadal. A set down in the finals at Queen’s Club, Cilic went on to win the next two to capture his 2nd title and 18th overall at the event beating Djokovic. He also made his third Grand Slam final appearance losing to Roger Federer at the Australian Open. Cilic’s countryman Ivo Karlovic, who had to pull out last edition due to an injury, is also confirmed to participate. At the 2018 Australian Open he hit a total of 105 aces in his 2nd and 3rd round matches. At the Calgary National Bank Challenger, he became the oldest Challenger champion ever beating Jordan Thompson. The field also includes four Spaniards in Roberto Carballes Baena (73), Jaume Munar (75), Pablo Andujar (83) and Marcel Granollers (96). Mercurial Frenchman Benoit Paire (52) is also coming back to Pune as fans are guaranteed to witness a high-voltage week at India’s only ATP World Tour event. Paire, who made it to the main draw in Pune through a wild-card entry in the last edition in Pune, advanced to semis at the event after saving five match points in 2nd round to Marton Fucsovics. Eventually he lost to second seed Anderson in the semifinals but had become one of the crowd-favourites for his flamboyance. The straight sets win over Novak Djokovic in Miami Open would certainly be the headline of Frenchman’s 2018 season. Another player to watch out in the field would be Tunisian Malek Jaziri who achieved his career-high no. 45 in ATP rankings at the back of 23 wins this season. At Istanbul Open, he beat Cilic in straight sets en route his first ATP World Tour final. Players from over 15 countries including Moldova, Serbia, South Africa, Spain, Korea, Croatia, Belarus, Russia, Latvia, Poland, Uzbekistan, Belgium, Tunisia, USA, France, Czech Republic will descend in Pune for the 2019 season opener.